“They save travel broadens the mind, ” and I believe you meant “They say travel broadens the mind, “. Also, heading to Amazon to buy this book. Darn your Big Ideas series. I’ve had cheaper drug habits. You just sold another copy of your book! Sounds absolutely great. I’ll pick it up from Borderlands after work tonight. Rats. My local public library doesn’t have this one on order yet. Well, my recommendation to buy is now in the system, and if that doesn’t work . 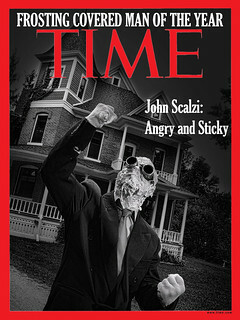 . . you know, Mr. Scalzi, this Big Idea thing of yours is getting expensive. Wait until it goes daily! This is the greatest, most freeing quote I have ever read. So I took no notes and let the research slide largely out of my head, just to work with the traces that lingered. If I can remember that I just might be able to write that story that won’t let me sleep nights. Also, totally buying this book! I have bought more books from these Big Ideas than any review or book article in the last 10 years. Ha! For once I beat you to a Big Idea! 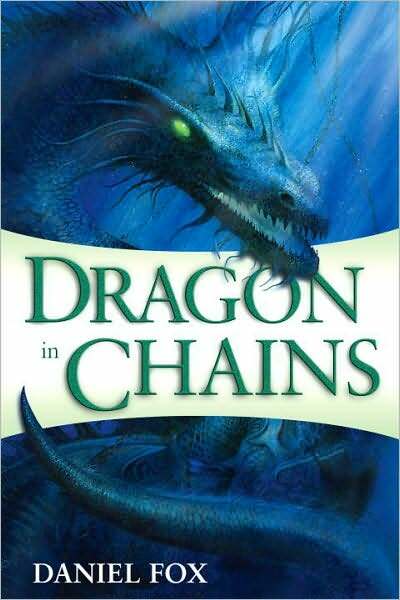 Dragon in Chains is in the bedside queue. I lived in Tainan (southwest of Tapei) for while. Interesting country. Lovely work. Thanks for sharing. I will definitely be picking up the book. This book sounds great. I’ll be checking it out, too. Side note: Big Idea has reignited my passion for reading sf/f in a way that surprises and delights me. I had more or less stopped reading those genres after becoming bored with/mad at them sometime back in the 90’s. Now I am once again enjoying being an “avid reader”. I think it might have something to do with each of these books (so far) being a worthwhile read. Thanks John! This one sounds really intriguing. I’ve added it to my Wish List. Question: John, do you read all of the Big Idea books to see if they are something you would personally recommend, or is this just an outlet that you open up to other authors? If you don’t read them, how does a book end up in Big Ideas? Do writers approach you about them? I apologize if this has been asked a million times before. I looked for a Big Idea FAQ and even the original Big Idea post, but your archives are so vast, that I eventually gave up. Pardon me if my internet-fu is not up to snuff. Before I moved to Taiwan, someone told me, “I’ve never felt so totally lost as I did there, or minded it less.” They meant, because the people here are so welcoming, and it’s true. I ought to see if I can find a copy of this, then take it to work and see what my Taiwanese colleagues think. I just found this listed as “pending” on the catalog with 9 copies going to 9 branches in the county. I’m on the waiting list at my branch. I’ve been interested in fantasy books based on an Asian setting ever since Barry Hughart set loose an old Chinese scholar with a slight flaw in his character. Daniel Abraham’s Long Price series is also highly recommended for those who wish to go beyond Euro-medieval tropes. Of course you will end up jonesing for the last book in the series but that one is done and has a publication date, unlike um, you know that guy that John mentioned a few threads ago, the one we’re not supposed to harass, that one that makes my blood boil…I WANT THAT DWARF RIDING A DRAGON RIGHT NOW MARTIN. What? OK, I’ll keep it down. Wow, these Big Ideas are so good! I’m scared of one a day, because I can’t read a book a day, and so far I’ve wanted to read every one of these (and only two or three were books I had discovered first). 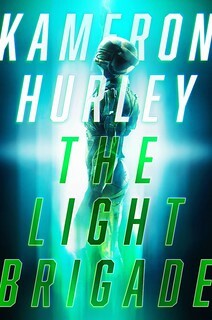 This is going on my precipitously growing TBR list. Scalzi, you’re a dangerous man. For more non-Eurocentric fantasy, I recommend The Fox Woman by Kij Johnson. It’s got a lyrical style much like Daniel Fox’s, and is a twist on a Japanese fairy tale. I understand using a pseudonym to get the big bookstores to order books, but why keep it in interviews? I’d be careful about tossing the word “disingenuous” around, there. For one thing, the author didn’t make the decision to have the feature under the Daniel Fox name, I did. And the reason I did that was to make sure there was no confusion for people when they were looking for either the book or the author name under which the book was published. You think you’ve answered your own question there? Don’t recall Agatha Christie ever giving an interview as Mrs Max Mallowan — despite her divorce and later re-marriage not only being genuine “common knowledge” but a great honking scandal. I apologies for using the word disingenuous. However, not mentioning anywhere, even in a coda that the name Daniel Fox is a pseudonym of a veteran British author just does not sound right, especially that this fact is quite well known as a cursory Google check will show. If a fiction author wants to use a pseudonym is not my business, since fiction is fiction so to speak, but on the other hand I would take with a grain of salt anything presented as “fact” by said author in that case. I think you’re thinking about this one too much, liviu. My choice to present the Big Idea under the name the book was published under doesn’t imply an attempt to hide anything. Nor is this the first author under a pseudonym to present a Big Idea. It’s not a big deal.